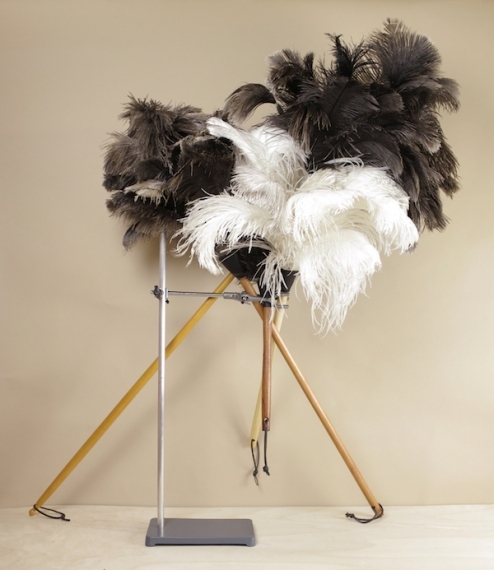 A choice of four natural ostrich feather dusters from a small and long established family owned and run brushworks in North Rhein-Westfalia. 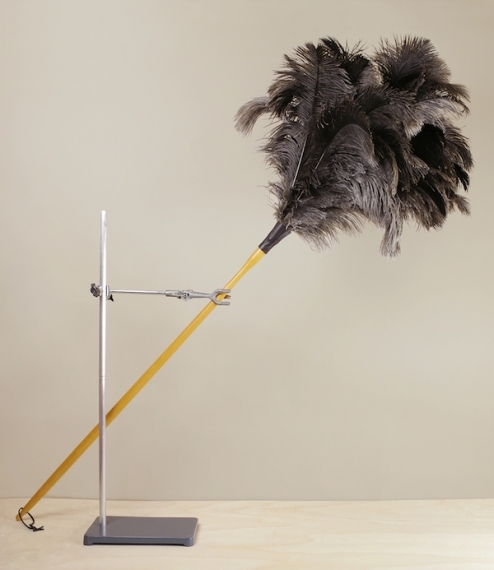 Genuine ostrich dusters are considered better than cheaper synthetic alternatives as they generate less static, and are often used commercially where the creation of an electrical charge could be catastrophic. 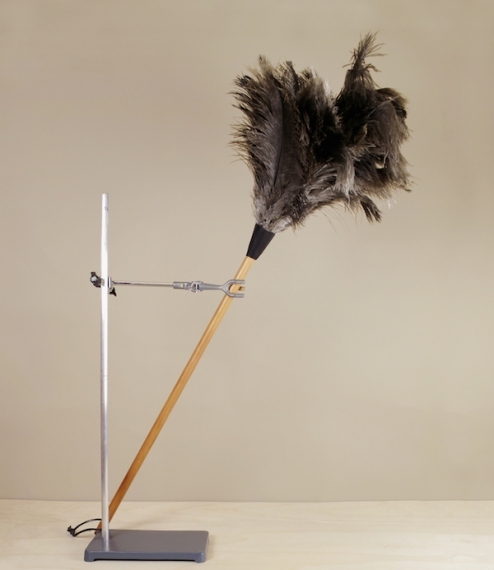 Domestically it just means dust is less likely to be immediately re-attracted to the thing just cleaned. No.1 has dark feathers, a varnished softwood handle, a black leather cuff and hanging band, and a total length of about 50cm. 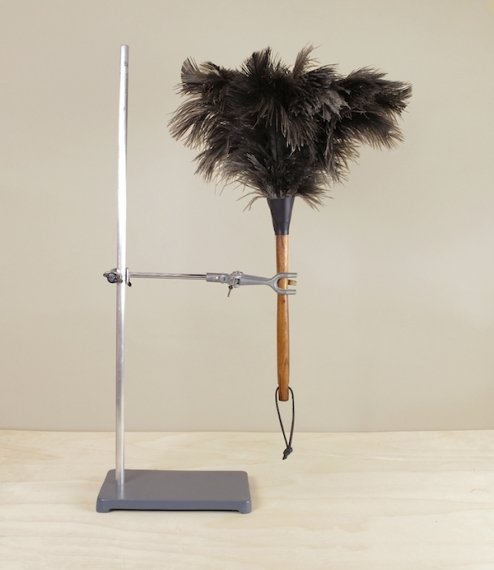 No.2 has dark feathers, a dark varnished softwood handle, a black leather cuff and hanging band, a larger head, and total length of about 90cm. No.3 has the largest fullest dark feathered head, a turned waxed beech handle, an oiled leather cuff and hanging band, and a length in the region of 120cm. 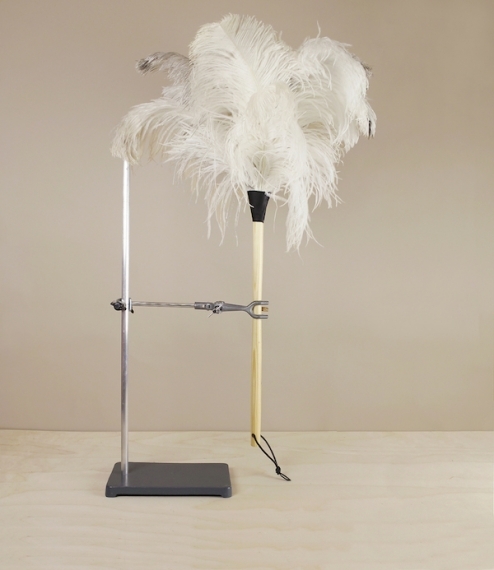 No.4 has a clear varnished whitewood handle, a dark leather cuff, hanging band, and a large exceptionally soft white feather head. It is ideal for the most delicate items. Total length about 80cm.